After a couple of years I got the opportunity to buy a 1968 GTO convertible, again 4 bbl and 4 speed. This one was Verdoro Green with the Ivy Gold interior and a light green convertible top, a gorgeous car! The only problem was I was living in Minnesota and this was my year round car. Three feet of snow and 20 degrees below zero was pretty common about 5 months a year, and if you think Pontiacs have hot start problem, try starting your 10.75:1 compression ratio 400 CI engine at 20 below zero! A few years later I sold my '68 to my brother and it would be about 10 years before I bought another classic car and this time it would be a '55, '56 and '57 Chevy, and yes I would have all 3 at once as evidenced by pictures of my front yard. I was a member and former officer of the Piedmont Classic Chevy Club for about 10 years but always new that It was another GTO that I really wanted. I sold off all of the Chevys and bought a 1965 Night Watch Blue 4 speed GTO convertible. I quickly realized that the car alone was not enough, and that I really missed the camaraderie that a car club brought. 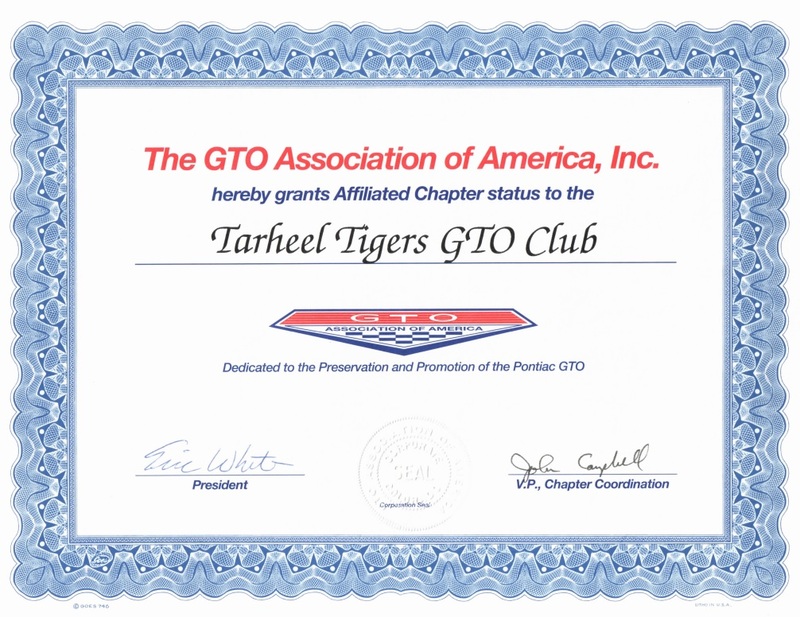 I was a member of the GTOAA but they did not have any chapters in NC, and they encouraged me to start my own club in Raleigh. Gary Anderson, Marcus Toler, Jim Ranieri, Steve Veatch, Dave Hinnant, Mike Montague and Rich Tursi. 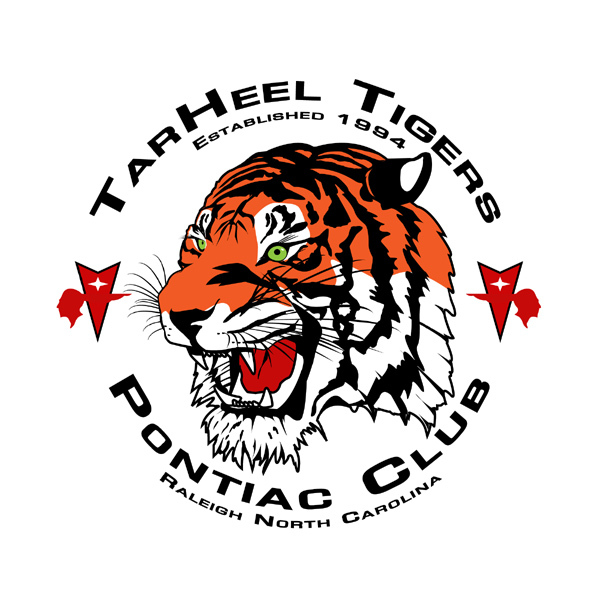 The club name was voted on and changed to “Tarheel Tigers Pontiac Club” under Jim Raneiri. There have been too many other officers to try to start naming them, but they have all been a big reason the club is still going strong after 20 years. Our first official meetings were held at the K&S cafeteria in North Raleigh. Dinner meetings were a great idea, until I decided we needed tech sessions and I brought a Tri-Power set-up in with me and set it up on the dinner table and proceeded to go through the construction and operation. The K&S people thought it was a great tech session , but thought that it would be a good idea to find another meeting place. There are a lot of great stories over the last 20 years and you should take the time to go through our club photo album some time.